SAN FRANCISCO–(BUSINESS WIRE)–Appthority, The Authority in App Security™, announced today it is collaborating with Appcelerator, the leading mobile platform company, to develop an end-to-end process for secure mobile enterprise app development. The two companies are providing the best-in-breed solution for developing apps with security and compliance in mind. Secure application development has become increasingly important to business customers seeking to develop safe apps for their employees and their customers. Appcelerator’s customers will be able to generate the Appthority Platform™ report for each mobile app developed on Appcelerator’s Titanium platform. The reports, seen as a clean bill of health, can be used by enterprise IT departments to ensure that new apps comply with the strict security and compliance requirements businesses demand for apps running in their environments. Furthermore, businesses can now use security as a differentiator when offering apps to their customers. Appthority, recently named the “The Most Innovative Company of RSA® Conference 2012”, helps the enterprise identify and manage the risks hidden in mobile apps. The Appthority Platform is a cloud-based behavioral analysis engine, which leverages disassembly, decompilation, and instrumented emulation of apps. Appthority’s platform automatically identifies and grades risky behavior including known and unknown malware, new malware used in targeted attacks, corporate data exfiltration, and intellectual property exposure. Appthority’s system will integrate with Appcelerator’s Titanium tool, which recently won the award for Best Cloud Based Technology at the GSMA Global Mobile Awards 2012. Domingo Guerra, Co-Founder and President of Appthority, said the company is excited to work with a proven winner in Appcelerator. “Appcelerator is already attracting the highest echelon of enterprise customers. These companies choose Appcelerator because there is a lot riding on mobile app development. Not only does Appcelerator continue to raise the bar in technology with their Titanium development platform and Appcelerator Cloud Services, they have significantly raised the bar in security by ensuring Titanium Apps can be scanned by Appthority,” he said. Guerra mentioned businesses have approached Appthority, which already provides solutions to protect Enterprise App Markets and mobile devices within the enterprise environment, asking for a security solution for the app development process. By choosing the Appcelerator and Appthority combination, customers will soon have the latest in app development and app security technologies at their fingertips. Appthority – The Authority in App Security™ helps the enterprise identify and manage the risks hidden in mobile apps. 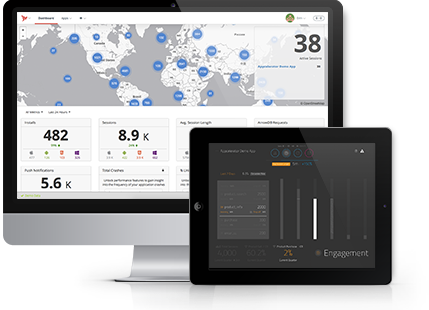 The cloud-based Appthority Platform™ automatically identifies and grades risky behavior in mobile apps including known and unknown malware, new malware used in targeted attacks, corporate data exfiltration, and intellectual property exposure. The Appthority Platform integrates with the enterprise’s existing mobile solutions, adding app reputation and risk analysis capabilities to Enterprise Mobility Management (EMM), Mobile Device Management (MDM), Mobile App Management (MAM) Enterprise App Catalogs, and Enterprise Mobile App Developers’ Software Development Lifecycle (SDLC) process. For more information on Appthority please visit www.appthority.com.